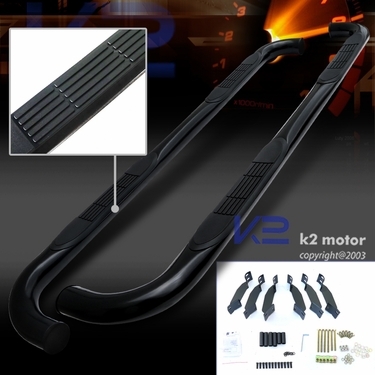 Add a finishing touch to your vehicle with 2002-2005 Ford Explorer Black Side Step Bar available to you at an affordable pricing here at K2 Motor. 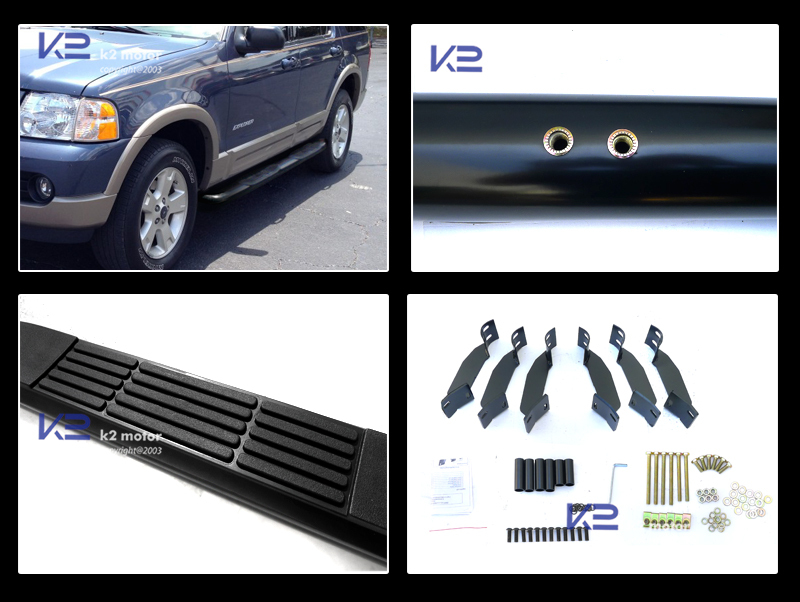 Brand New 2002-2005 Ford Explorer Black Side Step Bar. Having a little trouble getting into your Explorer? Your children having a hard time getting in? These stainless steel side nerf bars are the perfect solution to these problems. 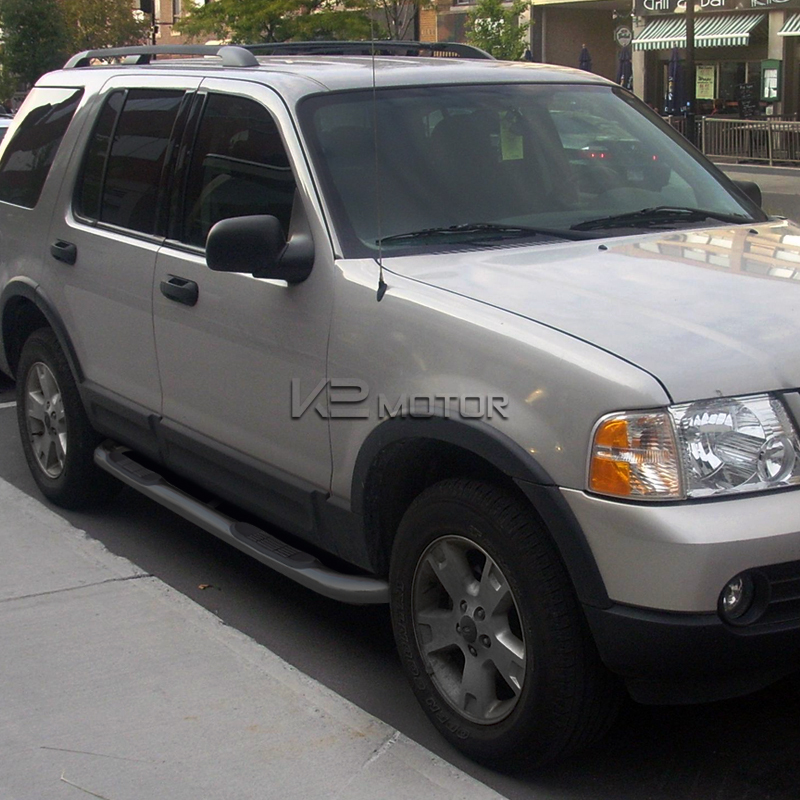 Not only functional as a safer way of getting in and out of your truck, but will also give your Explorer a new aggressive but stylish look. The side step bars feature polymer step pads to prevent slipping and comes with all the brackets and screws needed to install the bars. Its hollow reinforced tube structure ensures that the bars are light but still provide a strong step for years to come.